KCUMB alumni have been making a difference in the lives of their patients and in the communities they serve for nearly 100 years. 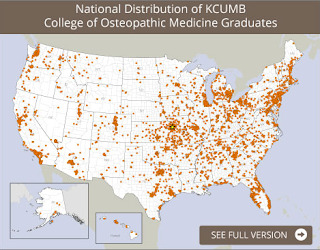 While alumni and friends of our institution recognize KCUMB's impact, the University recently gathered more comprehensive data in order to showcase the effect we are having on our nation and the world. Helping fill critical primary care positions at a higher rate than graduates of most other medical schools, with 72 percent of our graduates practicing in primary care specialties. The second-largest provider of physicians for Missouri and Kansas. 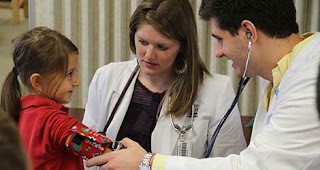 Providing much-needed medical care in underserved areas, with 40 percent of Missouri alumni practicing in rural areas. The largest medical school in Missouri and the 12th-largest in the United States. Click here to see additional maps and statistics about local, regional and national findings. 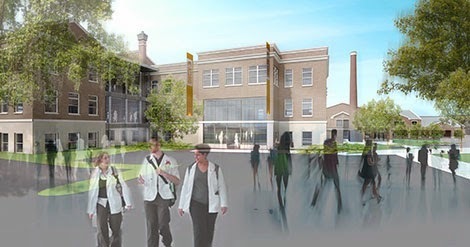 KCUMB is partnering with the Samuel U. Rodgers Health Center (SURHC), Missouri's first Federally Qualified Health Center, to improve access to medical care just two blocks from our campus. This agreement provides additional primary care physicians for SURHC, while expanding educational opportunities for our osteopathic medical students. KCUMB's Score 1 for Health program provides free, in-school health screenings, preventive health education and health-care mentors to more than 13,000 of Kansas City's most vulnerable children annually. In July 2013, KCUMB unveiled a comprehensive five-year Campus Master Plan, designed to identify facilities upgrades and new facilities needed for the immediate future. Click here to see a photo gallery and watch a live web cam of the Academic Center construction. We want to create a cohesive campus environment that is safe, neighborly, pedestrian friendly and ties the University together. Construction began October 1 to renovate Weaver Auditorium into two high-tech auditoriums and multiple classrooms for daily use. Continuing our quest for a sustainable environment, we plan to reclaim 90 percent of the existing materials. Our construction plan will provide us with a Leadership in Energy and Environmental Design (LEED) silver designation for this building. Repurposing Weaver Auditorium saves $4 million compared to the construction of a new lecture facility. The remodeled building will open in time for the beginning of classes in August 2014. This historic building will be updated to accommodate our needs for our second 100 years. This renovation will include the addition of a welcome center for applicants and visitors to our campus in the north wing. A Simulation Center Planning Group defined the scope of the facility for our students today and in the future. The new center will provide much-needed space to effectively accommodate the simulation and standardized patient programs and will allow for collaboration with other institutions in the region. This new facility aligns with our mission of health and well being and will accommodate the needs of our growing campus. The Health and Wellness Center will include a cafeteria, an exercise facility for faculty and staff, and space that can be utilized for special events. Bruce Dubin, D.O., J.D., FCLM, FACOI, was recently named as KCUMB’s executive vice president for academic affairs, provost and dean of the College of Osteopathic Medicine. He will join the University in mid-November. I truly believe that Dr. Dubin is one of the great thought leaders in osteopathic medical education today. In particular, his dedication to teaching and his understanding of the classroom dynamic has made him an extraordinary administrator. These assets will make him an extremely valuable member of our executive leadership team. Dr. Dubin comes to KCUMB from Rocky Vista University College of Osteopathic Medicine in Parker, Colo., where he has served as the dean and chief academic officer since 2009. 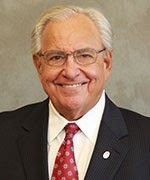 He also served as interim president from 2011-2013. He received the Meritorious Medical Educator Recognition from the Texas Legislature in 2010, the Texas Osteopathic Association’s Meritorious Service Award in 2009, and was named Educator of the Year by the American Osteopathic Foundation in 2007. He is a member of the State Bar of Michigan and the Federal Bar. 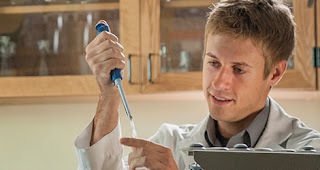 Dr. Dubin earned a bachelor of arts in chemistry and biology from Eastern Michigan University and a juris doctor from the University of Detroit Mercy. He earned a doctor of osteopathic medicine from A.T. Still University's Kirksville College of Osteopathic Medicine in Kirksville, Mo. He is board certified in internal medicine (AOBIM). 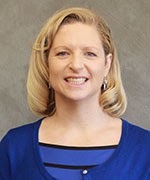 We look forward to Dr. Dubin joining us and have high expectations for our academic programs. KCUMB is committed to expanding our research program to benefit the long-term education of our students and to contribute to medical- and scientific-related discoveries that will make a difference in the lives of those we serve. Each year, we host KCUMB's Research Symposium to showcase current research, provide a venue to gain exposure to ongoing research across many fields of study, and facilitate opportunities for inter-disciplinary collaboration. This year’s topic is “Population Health: Impact of Translational Research.” The event will take place Nov. 21-22 on the KCUMB campus. I want to personally invite alumni to consider participating in this event by attending or registering to judge the presentations. For more information, you may visit our website at www.kcumb.edu/symposium or contact us at research-symposia@kcumb.edu. Three of our prominent KCUMB alumni recently took on new roles, serving in various capacities on our Board of Trustees. After having worked with KCUMB students for years in his position as director of medical education for Via Christi Health in Wichita, Kan., Dr. Walker recently became chair of KCUMB’s Board of Trustees, following the planned departure of Terry Dunn at the end of his term. Dr. Walker served as KCUMB’s interim president and chief executive officer earlier this year, while the Board of Trustees conducted the national search for a permanent president. For his dedication to the institution, the Board of Trustees voted to bestow upon him the honor of being named KCUMB’s 13th president and chief executive officer. Dr. Walker was also honored as one of the Wichita Business Journal’s 2013 Health Care Heroes. KCUMB is grateful for Dr. Walker’s leadership and dedication to our faculty, staff and students. An associate professor of family medicine and medical director for the Family Medicine Center at the Medical College of Georgia, Dr. Strickland Coffin was installed as president of the KCUMB Alumni Association at KCUMB's Homecoming celebration in September. Dr. Strickland Coffin has played an integral role in the Alumni Association over the past several years. She was previously the recipient of KCUMB’s Young Alumnus of the Year Award. Dr. Strickland Coffin has received many accolades for her teaching, including the prestigious Thomas A. Sappington Award and induction into the Academy of Medical Educators. She has participated in more than 60 invited lectures, and her work has been published in more than 20 journals. In addition, she was recently awarded grant funding by the U.S. Department of Health and Human Services’ Health Resources and Services Administration. A former president of the American Osteopathic Association, Dr. Oliveri has distinguished himself nationally as a leader in the osteopathic medical profession. 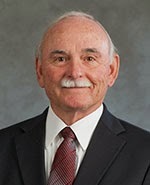 He recently returned to KCUMB to serve as a member of the University’s Board of Trustees. 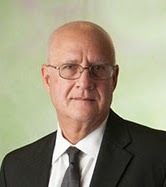 Board certified in internal medicine and gastroenterology, Dr. Oliveri has served as assistant dean and professor of medicine at Michigan State University College of Osteopathic Medicine, and also as chair of the Department of Gastroenterology at Botsford Hospital in Farmington Hills, Mich.